"The world-renowned bassist makes his debut as big band leader ..."
"... a brilliantly cohesive 17-piece band ... McBride displays a canny ability with the warmly inviting ensemble charts ... challenging, forward-looking big band music." "Four Stars ... manages to present music respectful of big band traditions, while also showcasing his own unique compositional voice ... McBride at the top of his game ... steeped in tradition while remaining tapped into what's current and exciting in jazz today." Four-time Grammy-winning jazz bassist Christian McBride has done plenty of big band playing and arranging in his career, but The Good Feeling is his first recording as a big band leader. And big is the operative word here: it's a 17-piece band plus jazz vocalist Melissa Walker (McBride's wife) who sings on a handful of songs. 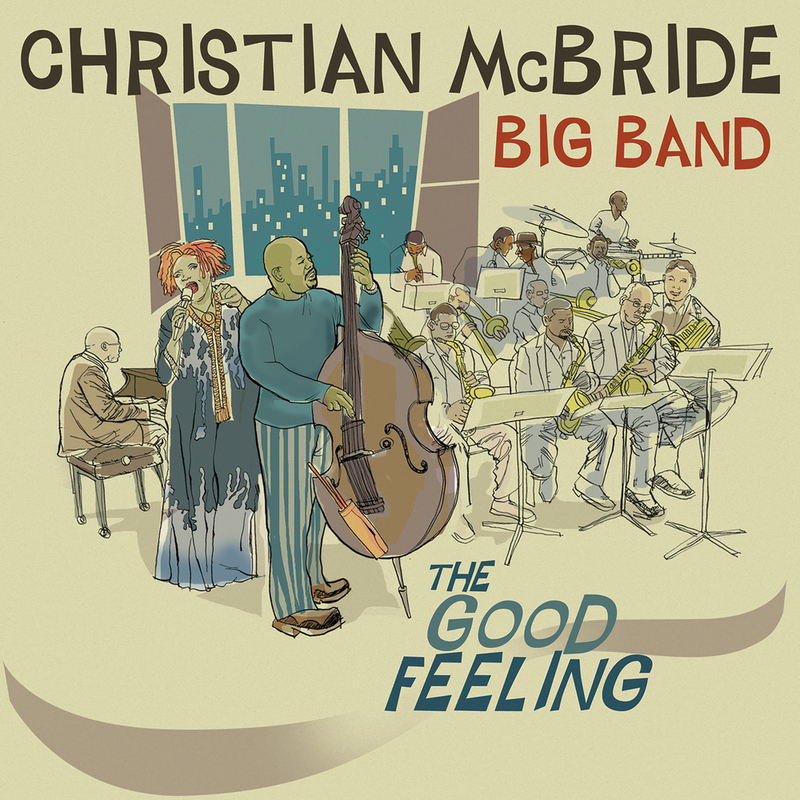 The Good Feeling, featuring both standards and McBride originals, earned a Grammy in 2012 for Best Large Jazz Ensemble Album.